The Vegetation Management (Reinstatement) and Other Legislation Amendment Bill 2016 (VMROLA Bill) was introduced to the Queensland Parliament on 17 March 2016 and was subsequently referred to the Agriculture and Environment Committee for review. The outcome of the review is to be delivered on 30 June 2016. Overall, the VMROLA Bill seeks to reinstate land clearing regulation in Queensland that was in place until amendment by the former Government. This includes re-introduction of regulation of High Value Regrowth vegetation under the Vegetation Management Act 1999 and Riverine Protection Permits under the Water Act 2000. Amendments also include revision of the Environmental Offset Act 2014. Given that the VMROLA is under review, it is yet to be seen whether it is ever enacted as legislation and if so what form an enacted version may take following parliamentary debate. Public submissions on the Bill are open until 25 April 2016. 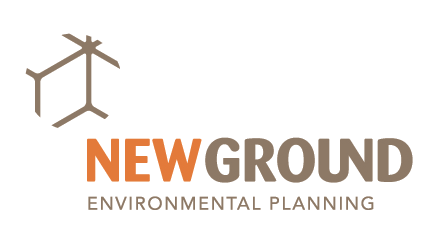 This blog briefly outlines some of the amendments proposed by the VMROLA Bill at the time of writing that we find to be of interest from ecological approvals and environmental offsets planning perspectives. We note that the VMROLA Bill does carry transitional provisions which generally have the effect of activating the level of regulation proposed by the VMROLA from 17 March 2016 to assent of the VMROLA Act. Given that this blog is general and summarised in nature, it does not provide project or situation specific advice. Further to the point above, the VMROLA Bill also restricts clearing of HVR for grazing or agricultural purposes on freehold, indigenous or lease (under Land Act 1994) lands. Proposed Part 11A also sets up framework to enable environmental offsets delivered under the EPBC Act to cover off on conservation outcomes of the EO Act and vice versa. From our interpretation of proposed section 89C (a) of Part 11A, there is concern that a Commonwealth-approved offset proposal could be assessed again by the State to enable it to form a view on ‘if the offset is selected, designed and managed to maintain the viability of the matter’. This could potentially cause duplication or extension of offset requirements. We note that currently, section 15 of the EO Act restricts an administering agency from imposing an offset condition that is substantially the same as that imposed by a higher level of Government. Of note is that the definition of Vegetation under the Water Act is broader than that of the Vegetation Management Act and includes seedlings, saplings, reshoots, bushes, shrubs and trees. Feel free to contact Nelson Wills (07 5575 7308 or nwills@newground.com.au) should you have any questions on the above.